Index > News > Tons of random interviews and reviews! Tons of random interviews and reviews! The Latin America tour is half over and tons of links to interviews and reviews done before the Latin America tour have piled up. There is something for everyone below. Have fun. Kelly Pratt from Metal Tome: Gateway to Shred sent us a link to a review of the 70,000 Tons of Metal cruise including some Blind Guardian photos and videos. Metal-Experience.com also posted some nice photos from the cruise HERE. 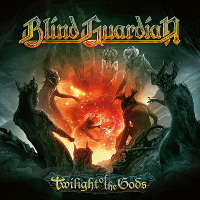 Blind Guardian can be seen on page 2 and 3. Music Photocalypse has posted a nice photo gallery from the Guardian gig at the Metalcamp festival. The Metalcamp people also had an online chat with Hansi. Our friends at Metal Hammer Germany have posted a photo gallery from the Tollwood Festival in Munich on June 24, 2011. Hansi and Marcus discuss the forthcoming orchestral project in a video interview filmed at the 2011 Wacken Open Air. 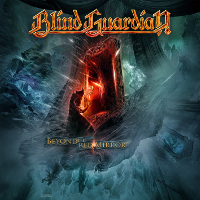 Yet more orchestral project details are discussed in an audio interview conducted by Jorge Ciudad of Chile's PowerMetal.cl. Patty's Pit conducted an interview with Marcus. The NDR cameras caught Hansi and André backstage at the Wacken Open Air. The guys at bonedo: Das Musikportal featured Marcus and Frederik in there Wacken review (fast forward to around the 12 minute mark).